Handcrafted from the softest khadi cotton which takes weeks to spin and weave by hand, the collection is lightweight, versatile and ideal to roll up and pack in your carry-on. Lovingly created by a small team of artisans, the collection is designed in London, tailored in Paris by a retired cutter from Dior and individually screen printed and assembled in Delhi. From the placement of the print to the handmade box they arrive in, each garment is unique: an original work of art that you will never want to travel without. 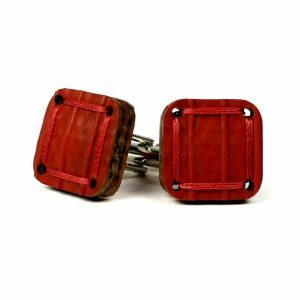 Elvis & Kresse dreams of a time without landfill, when everything is recycled or composted. Between now and then they know there are far too many incredible materials that will either languish underground or suffer the indignity of incineration. They are constantly searching for more materials to grow their range of bags, belts and wallets, and have rescued over 200 tonnes so far. Weleda products are created to work holistically – inspiring the senses, through sight, smell, touch. Using natural fragrances, blended by a team of experts, the products work on the mood enhancing part of the brain – be it sensuous and heady, light and uplifting, relaxing and indulgent. Weleda creates individual formulations for every product – no two are the same – lotions, creams and milks are all created using individual recipes and each ingredient is there for a purpose. And rather unusually, the brand follows a ‘lead plant’ principle. Since 1922, Weleda’s experience provides insights into the power of herbal remedies we can call upon for specialist situations – be it calendula flowers for babies, pomegranate for breakout skin, arnica for bruising, lavender for stress, or birch for detoxification. 100% natural – 100% energising. Everyone likes to smell good – but not everyone wants to use chemical gunk to make it happen. 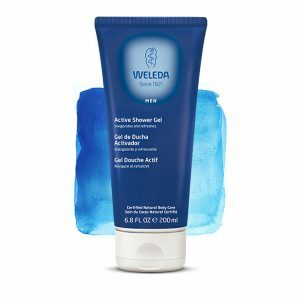 Weleda Men’s Active Shower Gel leaves you with a fresh, masculine smell, clean skin and a clear conscience. Their biomimicry designed Foot Mattress™ is based on the coconut husk’s natural shock-absorption property. Its purpose in nature is to soften the impact when the coconut falls from the tree, and to protect it from breaking when it hits the ground. The Foot Mattress™ moulds to the shape of the foot for exceptional cushioning, whilst providing superb climate control and air circulation. 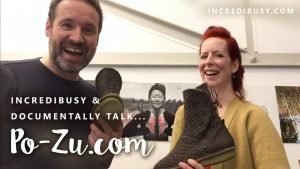 One of their customers described Po-Zu shoes as “like sinking into your favourite sofa”. The materials they use come from either natural or renewable sources. 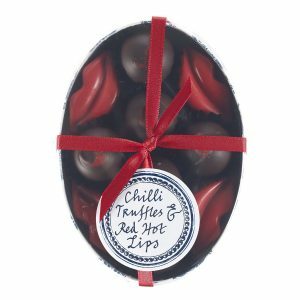 They contain no pesticides, bleaches or toxic dyes and are locally sourced wherever possible. 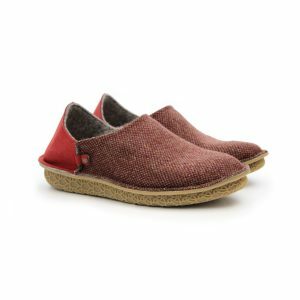 Po-Zu has incorporated some ground-breaking ideas such as glue-less shoe constructions that are designed for disassembly, a multipurpose compostable shoebox, and an edible shoe cream. Inspired by and including ingredients from the island of Jersey, Seascape Island Apothecary sources produce and herb extracts locally. The tranquility of the island provides the inspiration for the brand. Honey is from beekeeper Francois Le Luer’s apiary, nestled on the edge of a step cliff above wild flower meadows. Jersey beeswax is found in all of Seascape’s skincare products and honey in their Les Petits and Maternity products. Milk from Jersey cows is used in soaps, and the lavender, eucalyptus and rosemary oil are from Jersey Lavender Farm – established 30 years ago. Seascape’s products are paraben, silicone, petroleum and SLS free. Its bottles and packaging are recyclable, and product cartons and gift packs are made in the UK by an FSC accredited carbon-neutral supplier. For a feel-good sweet tooth… It is Valentine’s Day after all! In 2004, the year that Hurricanes Ivan and Emily hit Grenada, Rococo worked with their good friends at the Grenada Chocolate Company to support them through this difficult time producing the ‘the Hurricane Emily’ chocolate bar where all proceeds went to ‘Hearts & Hands’ – the Grenada Relief Fund. Following this project, in 2007 Rococo teamed up with the Grenada Chocolate Company and purchased a small cocoa farm, affectionately called ‘Grococo’, so they would be able to produce their own fairly traded, ethical chocolate. All of Rococo’s organic products now include their own Grococo beans. Inspired by the hot nights of Southern India and crafted from the finest 21 momme crêpe de chine silk, the Firebird is the quintessential robe for the glamorous globetrotter. Seductive and refined, the robe moves beautifully and arrives ready for adventure with a Robe de Voyage travel pouch and delivered in a handmade gift box. Po-Zu’s classic convertible shoe-slipper style. 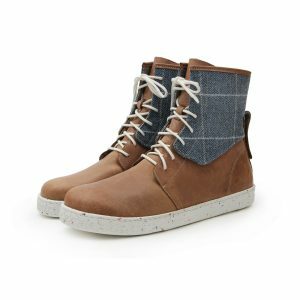 Their ultimate relaxed Vegetarian style that can be worn in two ways. Keep the back up and it’s a shoe, fold it down and it’s a slipper. Probably the most comfy slippers you will ever wear in your LIFE! Bodas were early to the concept of rarified basics. Described by journalists as understated modern chic, this is quiet luxury at its finest. Everything Bodas offers is made from the highest quality fabrics – the finest Tactels and lace from France and Italy are used for lingerie, Supima cotton from the US for nightwear and luxe 8-ply cashmere from Wales for super-soft sweaters and socks. From their sleek Notting Hill store, the brand has expanded its reach and international footprint to luxury retailers worldwide. The secret of their success? Bodas has always remained true to its principles: attention to detail and design, its unique signature colour palette and never losing sight of the end goal, which was to make products that women want to wear. The original perfect cotton basics lingerie have evolved into full, yet focused collection of exquisitely tasteful grown up ranges of lingerie, nightwear and loungewear that mix the classical and minimal. 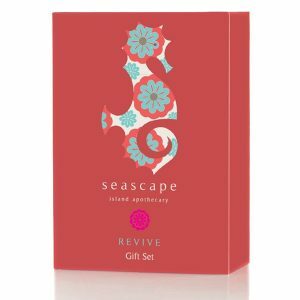 This Revive Gift Set includes a 300ml Revive Shampoo and a 300ml Revive Conditioner. 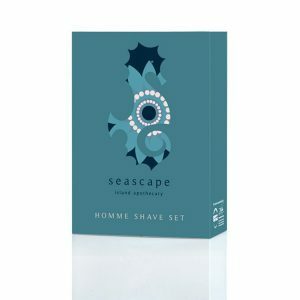 Seascape’s products are paraben, silicone, petroleum and SLS free and are suitable for vegetarians. We do not use artificial colours or synthetic fragrances. We are against animal testing. All of our ingredients are sourced from ethical suppliers and our bottles and packaging are recyclable. SEP hand-embroidered accessories blend hallmarks of premium Palestinian craftsmanship with high style. SEP creations are one-of-a-kind accessories that are distinguished by their exceptionally intricate embroidery, geometric design inspired patterns and a sophisticated style. Every stitch tells a story where each piece is hand embroidered by a single talented artist. Women who continue the time-honoured, cross-stitch technique that has been passed down from generation to generation are the artisans who are passionately making the unique pieces that make up the SEP range. SEP sources inspiration from Islamic and Moorish art, fashion trends, materials and textures. A hint of Italian flair can be felt throughout as a result of the founder’s origins influencing the design process. SEP’s creative process is collaborative and personal to ensure the highest quality of manufacture by lead artisans. The SEP promise is mutual happiness. SEP provides fortunate consumers access to beautiful, bespoke and elegant fashion accessories. 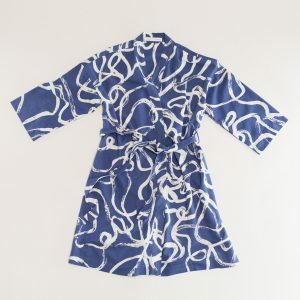 At the same time, SEP empowers less fortunate women who have the skills to create beautiful works of art, with professional, personal and economic stability. Because it’s still so chilly! Knitted in dye-free Cream 100% British Bluefaced Leicester wool, the yarn is sourced in Yorkshire derived from the fleece of this unique sheep breed sometimes boasted as the ‘cashmere of Britain’ due to its softness. The neutral cream colour makes this beanie hat the ‘wear with anything’ stylish accessory. Stay warm, stay chic. Ally Bee stands for beautiful knitwear design and sustainable, high quality British sourcing and manufacturing. Collections are crafted from British alpaca and British wool yarns and contain no oil-based polymide or acrylic blends. Softness and robustness of the yarn is intrinsic to the collection. Launched in 2014, the London-based label appeals to women who embrace understated style and consciously place thoughtful production on par with style and comfort. 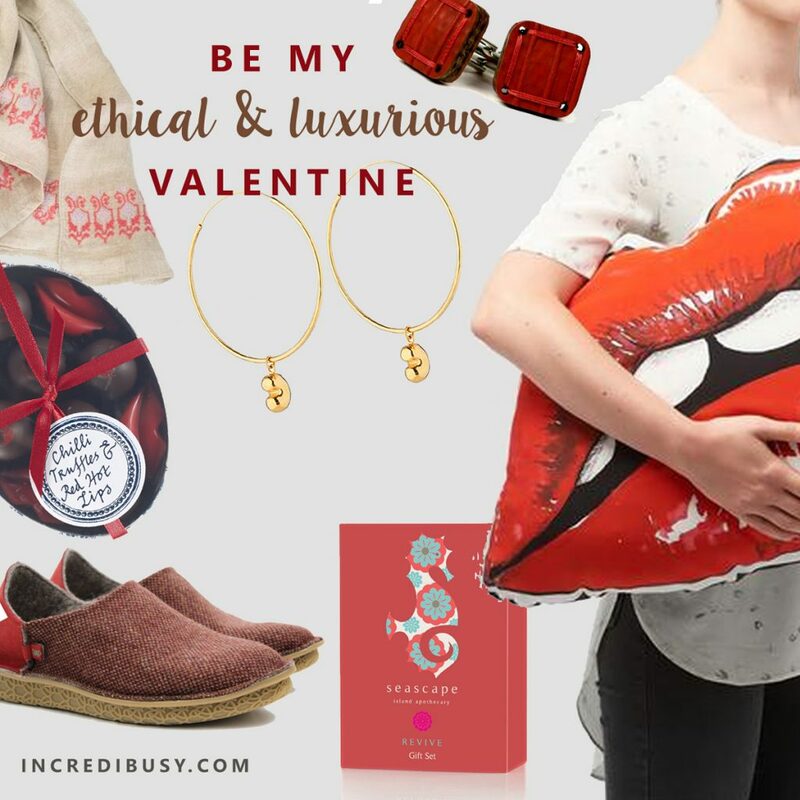 Ally Bee seeks to be recognised not only as a responsible knitwear label, that cares for people and the planet, but as a label known for immaculate products appealing to its customers on an emotional level. 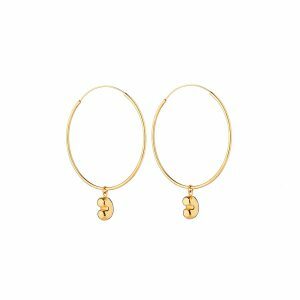 Creating a beautiful collection of jewellery, the founder of the brand Yasmine Haj, was inspired to create pieces replicating the natural tusks, tooths and horns found in Africa’s wildlife. Devastated by the poaching crisis in Africa, she hopes to replace the need for real tusks, tooths and horns by introducing her jewellery line. She has also formed an alliance with Tusk Trust, in aid of wildlife conservation and donates a % of sales in support of this organisation. 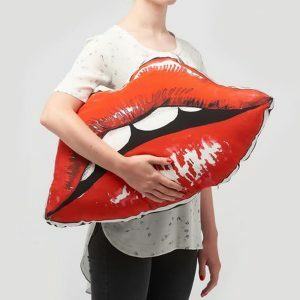 This statement cushion never fails to bring a playful pop of colour to a room. Lovingly crafted in the UK & finished with a gunmetal grey velvet back. The pure Orkney wool filling can be topped up or removed for cleaning. Age of Reason is a UK luxury print label with an emphasis on quality and longevity. Born as a scarf studio in 2011, the brand has evolved to add women’s wear and lifestyle accessories. Age of Reason produces two yearly collections and regular limited edition pieces, which are usually snapped up quickly by avid followers of the studio. Taking inspiration from literature, historical costume, punk culture and her African childhood in the mountain kingdom of Lesotho, she applies a quintessentially British style to her contemporary collections. These are beautiful clothes you can really live in. In April 2014 Ali was inspired by Fashion Revolution Day to spend a year only buying clothes if she could directly meet the person who had made them. A year of interviewing designer-makers and blogging about her “No Meet No Treat” challenge lead to the creation of the Age of Reason clothing range. Ali has also worked with her founding seamstress Nicola Carr to develop “The Pin House”, a socially conscious fashion production studio in Hull, Yorkshire where the majority of her collections are made. The studio, works on high-end sampling, pattern cutting, construction and hemming. It’s part of Ali’s vision to ensure that we always know who made our clothes. Celebrities fans include Alek Wek, Rita Ora, Daisy Lowe, Laura Mvula, Bip Ling, Jerry Hall, Georgia May Jagger, Joan Collins, Joanna Lumley, Tracey Emin and Anna Richardson. Last year saw Age of Reason collaborate with The Meringue Girls, creating t’shirts with the slogans ‘The Woman with the Power and ‘You can sit with us’ alongside stunning illustrations by Ali, to celebrate womankind, inclusion and diversity. Due to popularity these were sell-out pieces, so Ali created a limited edition Gold ‘You can sit with us’ t’shirt – selling quickly on both websites! This year will see Age of Reason creating a silk scarf added to the womankind collection, which will be highlighted through Age of Reason and Positive Luxury. In 1983, a young woman dared to follow her dreams, to share with others her love for real chocolate. Determined to change the way fine chocolate was perceived and presented, Chantal Coady transformed the then stuffy, conservative, commercial norm of chocolate retailing to the inspiring engagement of the senses that it deserved. Following on from a Saturday job in Harrods selling chocolate, Chantal knew she wanted to create her own magical emporium of luxury chocolate. She envisaged Rococo to be a chocolate paradise, so armed with a little knowledge, a dangerous passion and the belief that there was room for a radically different approach to chocolate, Chantal opened the doors of the first Rococo Chocolates shop on the Kings Road in Chelsea. Rococo continues to trade from the same site. 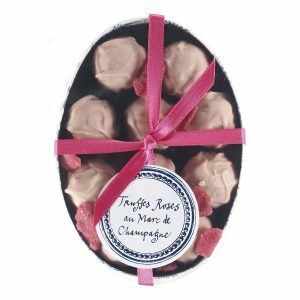 Rich Marc de Champagne dark chocolate truffles coated in thick rose-pink white chocolate, decorated with crystallised rose petals and packed in a Rococo print oval box. 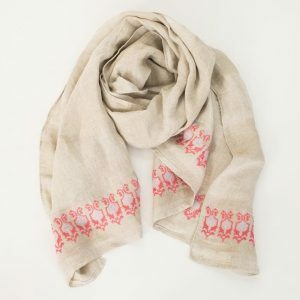 Eight Hour Studio was born out of a love for traditional Indian woodblock printing methods. Using natural fibres and ensuring that all their production complied with fair trade labour practices. These Sky Grey print shorts are made from luxe organic cotton and are hand block printed with an 8HS signature print. The cut of the shorts is relaxed and sporty, but also flattering with a tailored feel due to the feature pleats on the front, side vents and the back pocket . They are elasticated across the back and have a silky grosgrain ribbon waistband and tie in the front. The shorts can be mixed and matched with the Sky Grey Camisole and Blazer, Pastel Cross V-neck Top, Sky Grey T-Shirt or White Open Back Tank Top. They are the perfect chill wear when lounging around at home, on your honeymoon or when staying with family or friends. They are also perfect for the beach – wear over your swimwear when heading for lunch. 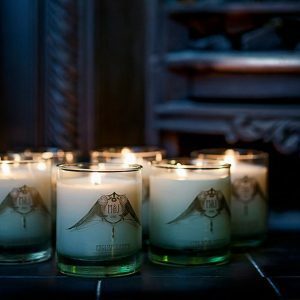 All candles are hand poured with love, in London with soya wax, recycled glass and environmentally friendly packaging. Samadhi is the state of consciousness induced by complete meditation – where the mind becomes still. These fragrances – karpuura, tulsi, rose – conjure sanctuary and spiritual renewal. Light an M&J Candle as part of your daily devotion, bringing that sense of pause, of peace, of calm and reflection to each day. Breathing these fragrances brings us back to that place of honor and leaves our spirit refreshed and recharged. PLUS – For a chance to WIN some Po-Zu shoes, click HERE and HERE but be quick!